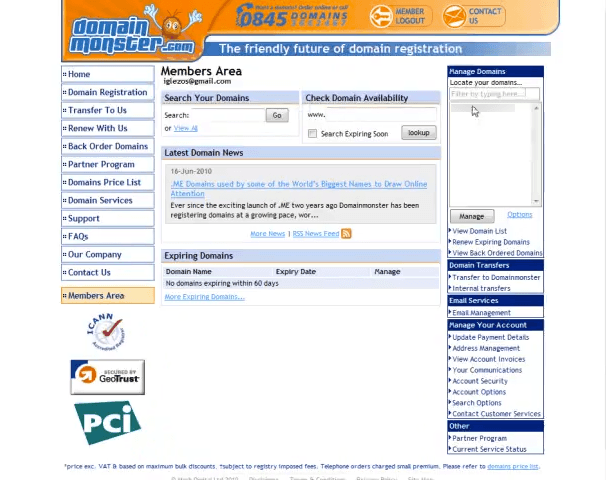 Then, you’ll need to visit your domain registrar, in this case DomainMonster, and perform the following steps. 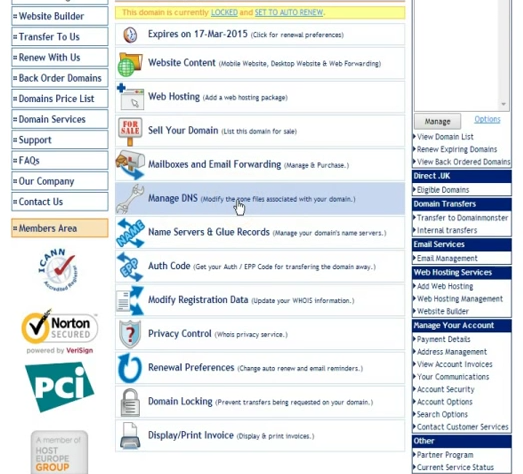 Select the domain you wish to modify from the right-hand menu, and click ‘Manage’. 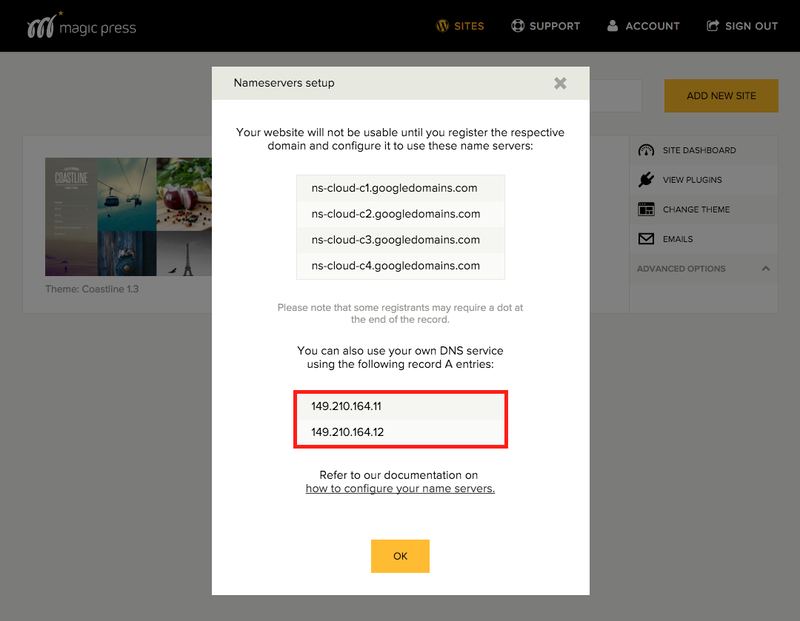 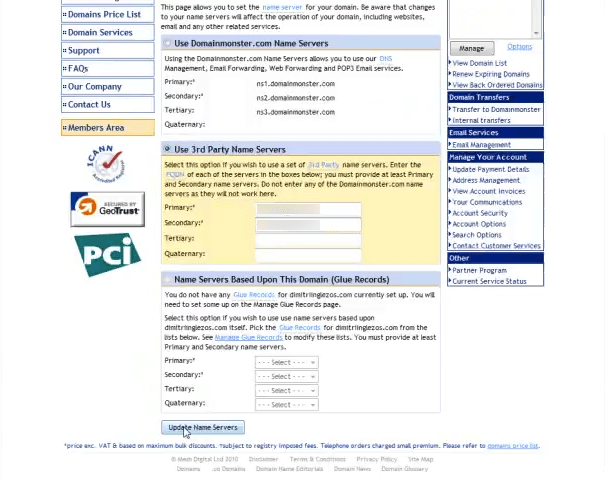 Select ‘Change Name Servers’ from the main menu. 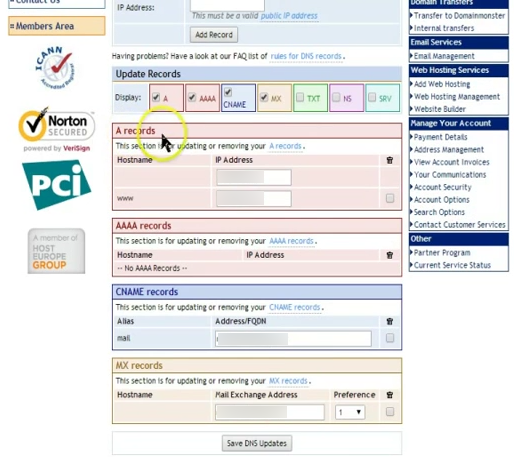 Fill out the A Records field with the respective data from the MagicPress panel.